Good Friday is a day when we pause and meditate on Jesus' suffering and death on the Cross. 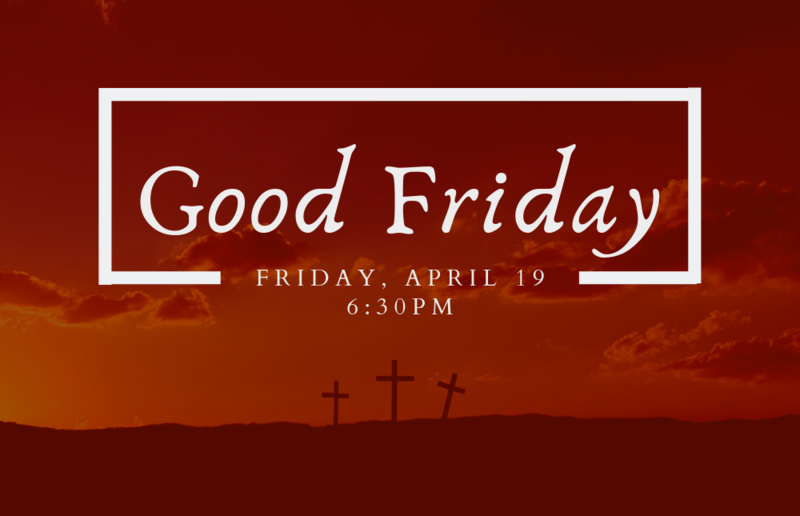 Let's gather for a time of worship, prayer and reflection on our Lord's suffering and his victory over death. Childcare available for infants through Kindergarten.